Sales are expected to rise more slowly for the next few years with Android upholding its enormous >80 percent OS market share. 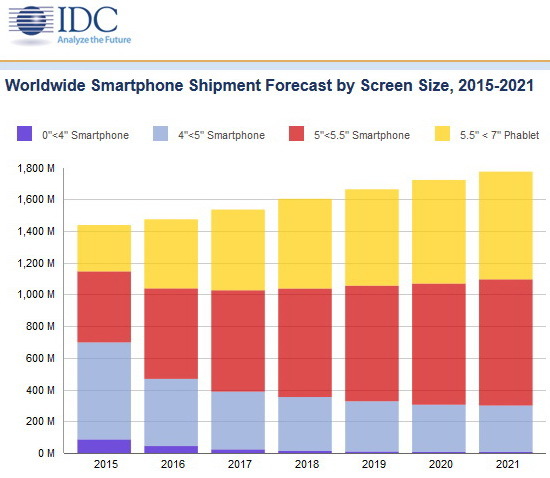 According to analysts from market research firm IDC, global shipments of smartphones will only grow by minuscule amounts for at least the next couple of years. Nonetheless, IDC is expecting 2017 to be slightly better than 2016 with a predicted 4.2 percent growth by the end of the year compared to just 2.5 percent last year. Such a forecast could be due in part to the highly anticipated launches of the Galaxy S8 and iPhone 7 successor. 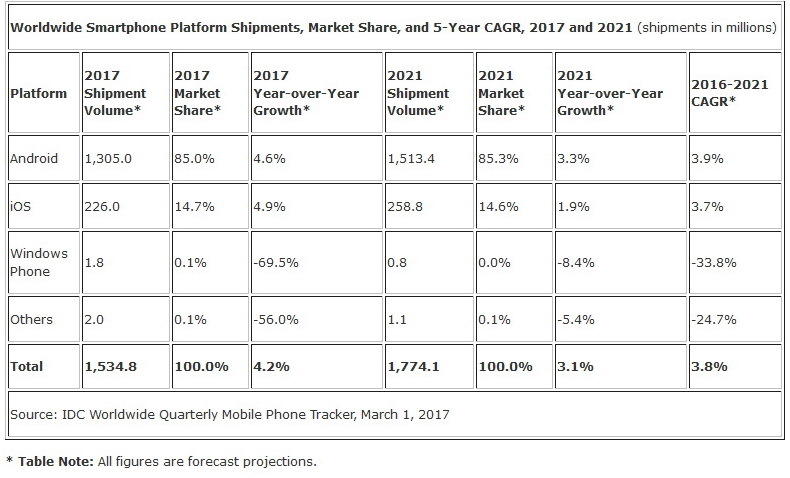 An estimated 1.53 billion smartphones are expected to ship throughout 2017. As for smartphone operating systems, IDC is predicting no major changes ahead. 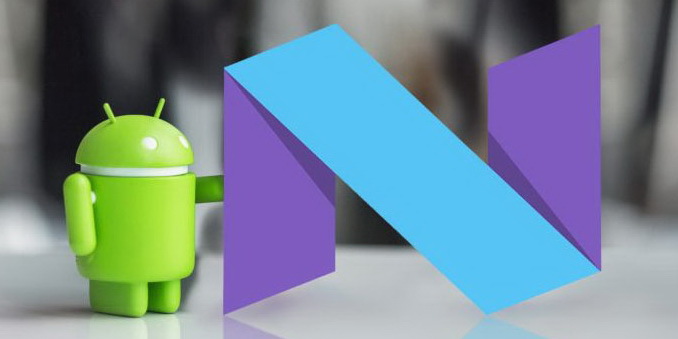 Android will hold its dominant position over Apple and others with 1.3 billion Android smartphones expected to ship this year out of the aforementioned 1.53 billion. The operating system could account for up to 85 percent of the market or more by 2021. Apple's iOS should remain relatively stable at about 14.7 percent of the mobile OS market with yearly iPhone sales expecting to total 226 million by the end of 2017. 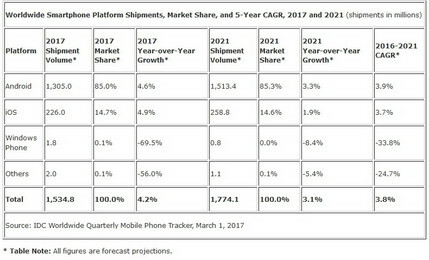 Meanwhile, Windows smartphones will shrink to just 1.8 million units with an almost non-existent market share of under 0.1 percent.